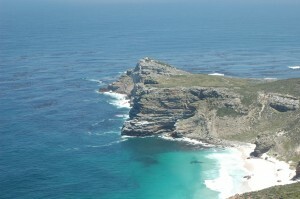 On Arrival in Cape Town your will be met by your guide and taken to your hotel in Cape Town. Your journey to the Mother City is dominated by the view of Table Mountain. Your guide will meet you at 08h30 today and your tour of the Mother City begins with a trip up to the top of Table Mountain. (This excursion is whether dependant and therefore for your own account). Once back at the base explore the city with its varied architecture, visit the flea market on Green Market Square or one of the many museums. Stroll through the Company’s Garden and watch the changing of the Guard at the Castle of Good Hope. Send the afternoon exploring the V&A Waterfront. Your guide will meet you after breakfast and take you on a journey onto the Cape Wine Region today. You start your day Stellenbosch with a stroll along Dorp Street and visit the Village museum. From here your journey takes you across the Helshoogte Pass to Boschendal for a picnic under the oak trees (own account). After lunch spend some time in Franschhoek and enjoy some of the excellent wines of this region. Make your way back to Cape Town through the Paarl Wine region and perhaps stop at the Afrikaans Language Monument to enjoy the late afternoon views across the valley. Today you leave Cape Town behind you and head into the Little Karoo. 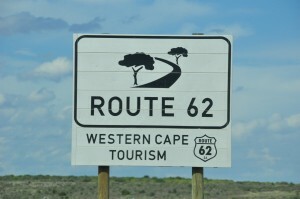 Travel along the Route 62 through Ashton, Montagu and Barrydale. From here the road takes you through the Swartberg Mountains. 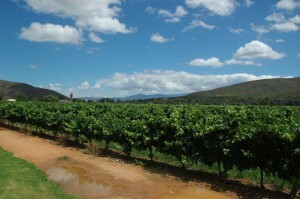 In Calitzdorp you guide has planned a stop to sample some Port before the road takes you through to Oudtshoorn. After a visit at Safari Ostrich Farm you check into your Guesthouse. 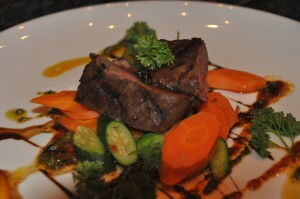 Enjoy Karoo hospitality and sample a delicious ostrich filet for dinner. Start your day with a visit to the Cango Caves this morning and take a drive up to the top of the Swartberg Pass to enjoy the view. In the afternoon take the scenic drive across the Outeniqua Mountains to George and on to Knysna in the heart of the Garden Route. Check in to your accommodation on the Knysna Lagoon before enjoying a boat cruise on the Lagoon before dinner at the Knysna Waterfront (own account). 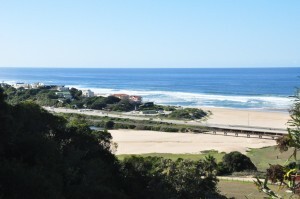 Travel along the Garden Route through Plettenberg Bay to Tsitsikamma. Perhaps visit MonkeyLand and Birds of Eden or walk with Cheetahs at Tenikwa. 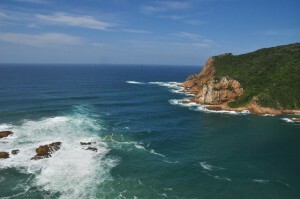 In Plettenberg Bay you can enjoy an Ocean Safari to see dolphins and seals or take a hike in the Robberg Nature Reserve. Perhaps visit the Bramon Winery for a late lunch before checking in at your accommodation in Nature’ Valley. . Your journey takes you through the Tsistsikamma forest today. Visit the Storms River Mouth in the Tsitsikamma National Park or for the brave take a leap off the Bloukrans Bridge on the world’s highest Bungee Jump. Perhaps make a detour to Jeffery’s Bay before making your way to the Colchester on the border of the Addo Elephant Park in the late afternoon. Spend the day exploring the Addo Elephant Park. Game viewing from your touring vehicle or if your prefer joining one of the 2 hour open vehicle safaris offered by the park. Return to the guesthouse in the late afternoon. 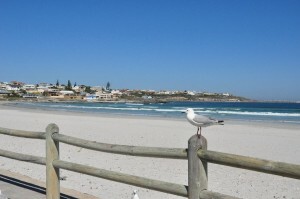 After breakfast your journey takes you to the coast for a wlak alont the beach in the small town of Kenton-on-Sea before you make your way to the Kariega Private Game Reserve in time for lunch. After lunch meet your ranger and set off on an afternoon game drive in an open safari vehicle. Enjoy the African Sunset with drinks and snacks before returning to the lodge in time for dinner. The early morning is probably the best time for seeing game in Africa and so you will be woken early this morning and set of on an early morning game drive as the sun rises and the bush awakes. After a morning of exciting sightings a hearty breakfast awaits back at the lodge. Spend the ehat of the day relaxing at the pool or in your suite before embarking on another safari adventure in the afternoon. After the morning’s activities and breakfast your guide will take you to the airport in Port Elizabeth and bid you farewell.